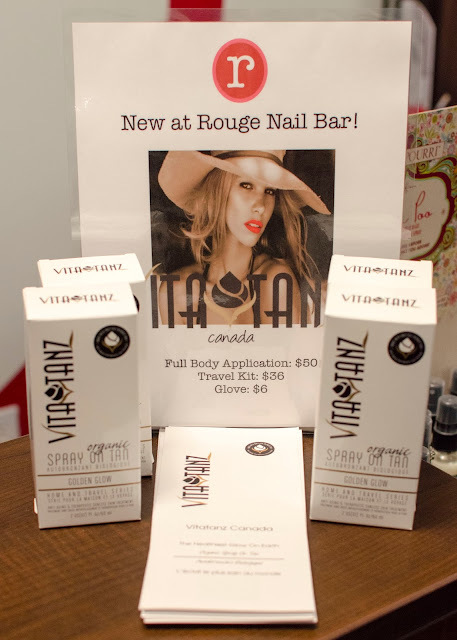 Last month, I was invited for a very girly event at the famous Rouge Nail Bar on Crescent street to try out the Vitatanz tan. The setting of this event was very inviting and warm and there was candy and cupcakes everywhere, a happy place for most of us girls ! 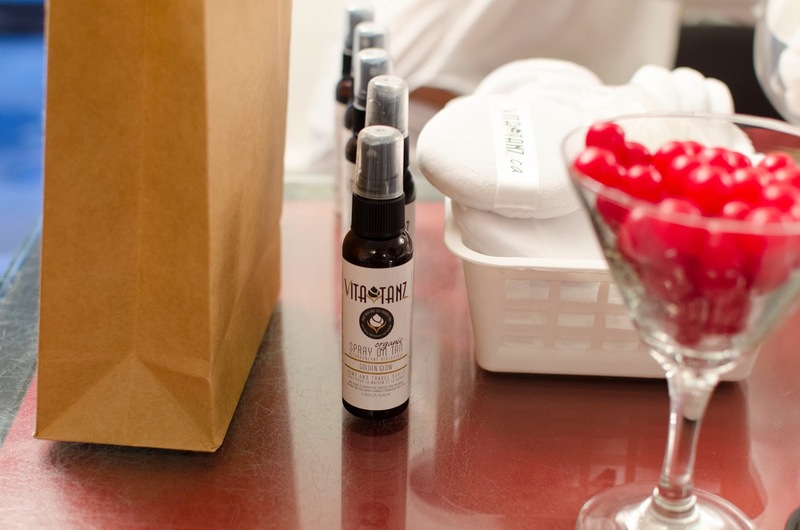 During this event, we had the opportunity to try this wonderful spray tan first hand. Let me tell you, that I am a sun worshiper, I love the sun, I love a good tan but I have always been sceptic of spray tans. I always wait for the summer and rock a pasty white skin all winter long. My gorgeous friend Sabina was up for the challenge and had the Vitatanz spray tanner applied to her legs and you could already tell the difference. Last week, I decided to put the Vitatanz tan to the test and try it on. First of all, one thing I love from this company is their slogan "Always Brown, Never Orange" which is very true. Aside form this, Vitatanz Spray Tan solution is completely organic, it has a sugar based formula that gives you an instant tan, without it being to harsh or orange. The brown color the product has when applying, helps you guide your tanning lines and helps you spread the product evenly, which is a big bonus. Another extra, is the price. Compared to other self-tanning solution companies, Vitatanz is very affordable, it delivers and it wont break your bank. I have yet to try it on my entire body as I applied it only to my legs (winter white legs) but Vitatanz is definitely something to look into if you want to get those legs out for your Christmas parties next month. 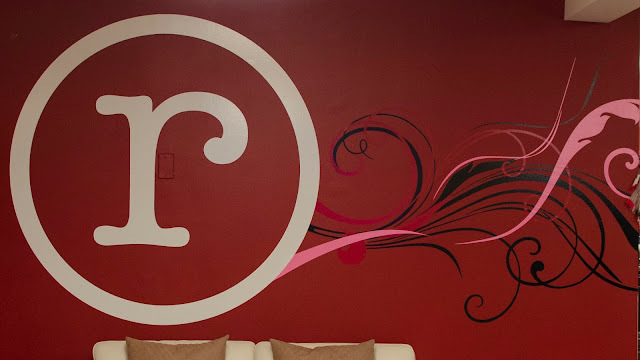 Next time you book your manicure at the Rouge Nail Bar, make sure to ask for a Vitatanz Spray Tan as they now offer in-house application for 50$, saves you a trip to Cuba !